I’ve been absolutely in love with author Louise Rozett’s Confessions novels. Having gotten to read the first novel, Confessions of an Angry Girl, back when I was first entering my freshman year of High School (coincidentally, the same year that the novel’s protagonist Rose was enteringher freshman year), I was always excited each summer for the opportunity to experience my next year of High School alongside Rose. If that makes sense. Anyways, having just finished up my Junior year, I was excited to see Rose do the same. In No More Confessions, Rose Zarelli has just discovered that a video of her father’s death in Iraq has been posted on the internet. Overwhelmed and conflicted between viewing the video and leaving it alone, Rose has become desperate for someone to share her pain and help ease her out of it. Even though Jamie Forta has broken her heart more times than she’d like to admit, Rose turns to him, sneaking into a bar with a fake ID to see him again. 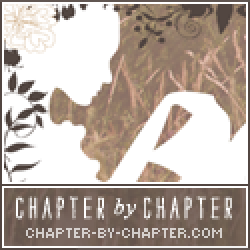 As she enters her Junior Year, Rose’s life begins to change. Possibilities are introduced; her relationship with Jamie is more confusing than ever, her bandmates have grown hard at her; she’s beginning to wonder if it’s possible to leave her sorry little town behind and make something new for herself. I always loved Rose’s character. I loved how imperfect she was. I loved how she was the friend who was closer to ‘average’ and as a result, more likely to be relatable to a teen audience. She was hopelessly in love with Jamie Forta and willing to do whatever it takes to remain true to herself. And while I loved those aspects of her character, in this final novel I was hoping to see more growth from Rose. There’s no denying that she has in fact grown but, personally, I always hoped that with all the feminism she preached internally that she might become a more independent character as a direct result. I don’t think this happened completely and I do wish that there would be a fourth installment to the series to see if Rose achieves exactly that in her senior year. The relationship between Rose and Jamie is something that’s been slowly burning throughout the series. We’ve all been dying with their will they/won’t they chemistry and we all want to know if, at long last, Jamie and Rose will make something serious of their relationship. To any readers who are majorly crushing on the bad boy love interest like myself, you will love everything that takes place in No More Confessions. All the distance between Rose and Jamie is closed both literally and emotionally and the two characters contemplate admitting to their love for one another. Seriously, so cute and it made my heart melt. Unlike the last two novels in the series I did feel like there wasn’t as much going on in terms of storyline and plot. We don’t see Roses friends as frequently nor do we see much of her actual high school experience (part of what made the novels so fun!) but there are more of the interactions as mentioned above. The majority of the plot focuses about the video of Rose’s father as well as her family’s struggle to come to terms with it. While I did enjoy the story, I did feel like that plot, as crucial as it was, dragged on for a bit too long to still be considered dramatic come the end of things. 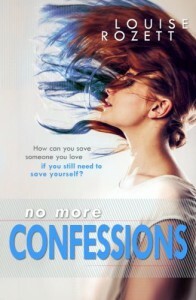 With a plot twist like the one that No More Confessions ends with, readers are going to be absolutely in love with the final novel in the Confessions trilogy. Everything reaches an ultimate high and inevitably, there comes a low to ground the characters again. I would recommend this series to readers who are interested in a series that mostly has a high-school setting and is filled with teen drama. To any readers about to enter high school who want a somewhat realistic read, I’d also point them this way. All in all, still one of the cutest stories I’ve read and I will miss Rose and Jamie who I adore far too much.